Without Cyborg, Beast Boy feels lost and sets out to find himself, but ends up meeting a music legend. The Titans return to the alternate reality to save Cyborg; but will they be able to defeat the Dragon? How many episodes of Teen Titans Go! have you seen? Batman and Commissioner Gordon go camping, but instead of fun outdoor activities, they'd rather watch TV. I don't know where people get the idea that this show is some kind of continuation to the original TT. ITS NOT. I don't have anything against the original but I just could not get into it. 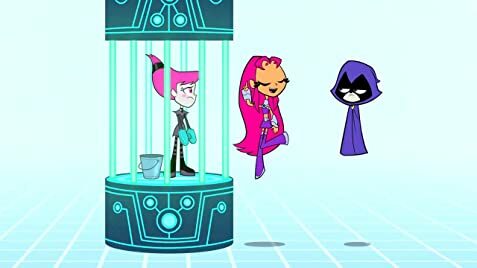 I couldn't connect with the show(TT) as much as I did with other animated shows like Batman, Superman or JL. But this show(TT Go) is funny in its own goofy way and if you're a true DC fan you know its not meant to be taken seriously. 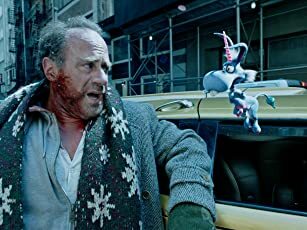 I like the easter eggs hidden throughout the show that reference classic moments with DC characters (Joker, Bane, Darksied etc) and the appearances from other DC characters. 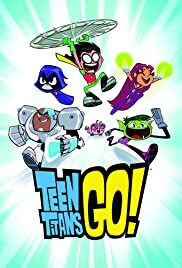 Unlike TT, TT Go is a show aimed for 3 to 12 year old's. However, It gets repetitive sometimes but every now and then they put out shows that keep it fresh. Overall, the show is funny and I like it.